Chelsea will be unable to sign new footballers this summer, and Maurizio Sarri isn’t going to sell important figures during the transfer window. 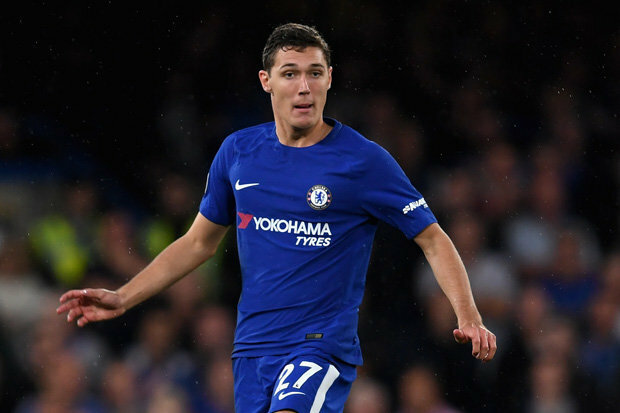 Andreas Christensen heavily linked with several clubs but he will stay in London as Gary Cahill and David Luiz already up to 30, and their back-up is necessary. Denmark international is the best choice in this situation as he had an excellent season and proved his worth one more time. Juventus, Borussia Dortmund, Schalke 04, Barcelona and Milan still interested in signing him and there will be a real contest for the player. Christensen regularly plays in the national team and also helped them to reach the playoff in the 2018 Mundial which is already a big success for the footballer. He has a vast potential and can become a world-class centre-back if he continuous improvement. In this campaign, Andreas already played 19 matches and made one assist in all tournament. He joined the English club from Borussia Monchengladbach in 2017 after the loan spell. The 22-year-old defender has contracted with the London club until 2022, and his release clause is around €35m. Chelsea have a good result in the Premier League as they are in a sixth place in the table and have a big chance to get the Champions League ticket. London club also reached the Europa League quarter-final, and they have to face Slavia Praha in April. Blues signed several footballers last summer like Jorginho from Napoli, Mateo Kovacic from Real Madrid and Kepa Arrizabalaga from Athletic Bilbao. English club also added Juventus centre-forward Gonzalo Higuain and Borussia Dortmund winger Christian Pulisic this January.